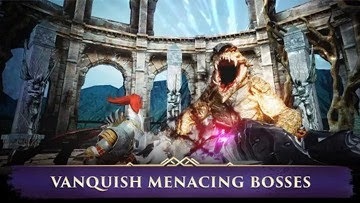 Here's a quick beginner's guide for gamers playing Darkness Rises, a hack and slash action adventure Android and iOS mobile game. - This game has a lot of freebies, just go with the flow and collect all of them, follow the RED DOT as your guide too. Join and complete all events to gain usable items and gears for your characters. - As you complete more stages and level up, more game modes can be unlocked, giving you more game-play experience. - This can be any unit that you like to focus on. According to the game, Warrior and Wizard are the easiest ones to play, then Berserker or Assassin ~ your choice. - Play more than one character if you have the time, because each one of them will get a different set of items, login rewards, friends list, and so on... it's like playing multiple accounts. - For alt characters, aim for at least Lvl 30 with Rank B gears and accessories, level up more as you go. 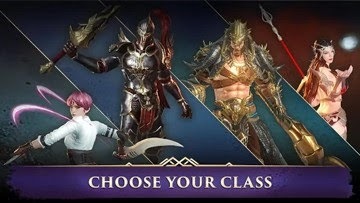 - Players that only focuses on 1 or 2 characters usually use other units to farm various chests like gears, skill points, and other resources for their main character/s. Note that the "Account Inventory" where you can find your unlocked chests are the only items that can be shared. - Note: Gems are also shared across all characters. - Your Account Mailbox is also shared, but still claim items from your Character Mailbox because they will get transferred to your Account Inventory (you can get a lot of items by doing this method). - The higher your alternative characters Lvls are, the higher the bonus stats that your whole team will get. Every single Lvl on your other characters increases your Power by 0.05% (maximum of 9%). - Unlocked once you complete 7-5 Adventure mode stage. - You can assign more characters to gather more resources (also shared). Upgrade Camp with your alt characters, and claim/buy rewards with your main. - A team with 3 characters can effectively Defend or initiate Raids (you can switch with your characters during battle with a stun effect). - Using Essence is the best way to increase your character's stats and overall base performance. - Ideally, current upgrades should be x2 of your current character Lvl. Example: If you are at Lvl 25, your Essence Lvls should be at around Lvl 50. - During early game, use your massive amount of Adventure Keys to farm Essences from Stages. - Go to your "Character Upgrade" screen > Select type of Essence that you need to farm > Select "Source" to bring up a list where you can farm that Essence. - If you need more Mystical Essences, farm any Elemental Essences that you don't have instead, or farm them from the highest stage that you can that requires only few Keys (usually 2) for a good number of Mystical Essences in return. - Unlock higher stages to get more Essences per run. - Use them after getting 3 Stars in a stage, best used at higher stages that you can unlock. - Upgrading will allow you to increase the Rank of your gears once they are fully Enhanced. - Do not use them on your Rank D, C, and B gears. Save them for your Rank A gears instead. Best used for upgrading specific Set gears (like PVP Set Gears) to avoid getting random Rank S set gears. - TIP: Check the Grimoire section in-game to check all available sets, including PVP sets and their stats. - Use the Fusion method below for upgrading your low ranked gears instead. - Upgrade Stones can be obtained from event/quest completion rewards. 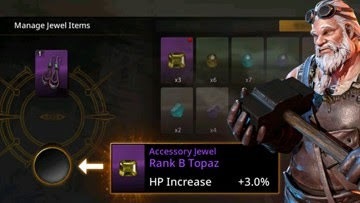 - Use "Polish" items or lower ranked Gears to Enhance your equipped gear to max Lvl. Next max out another gear with the same rank as your equipped gear. 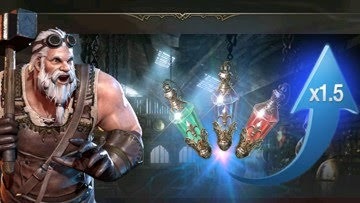 - Buy Gear and Accessory Chests if you need more: One way to use Gems, especially for non F2P players. - Polish can also be farmed from adventure stages. - Use the Fuse Option: example: Lvl 30 Rank C Weapon + Lvl 30 Rank C Weapon = Lvl 1 Rank B Weapon (random set). - Follow the same pattern until you can get Rank A or S gears. - Note: For accessories, they can be fused with other type of accessory but make sure to use your preferred item as your base item. 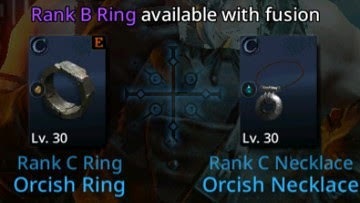 Example: Ring (base item) + Any Type = Ring (random set). - Same with Armors. Example: Helm (base item) + Any Type= Helm (random set). - Sets are available once you reach Rank B gears, complete some of them to get bonus stats (depends per set items). 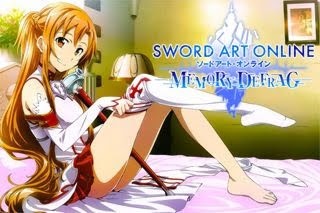 - Armors and Accessories will also get a different kind of sets, each having 3 total stat bonuses. - TIP: Check the Grimoire section in-game to check all available sets including PVP sets and their stats. - Aside from the Set bonus stats, you might want to refine and get the Traits you prefer per gear. 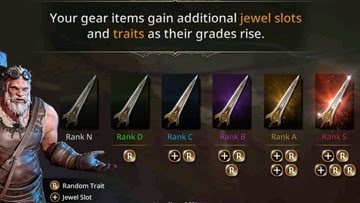 Preferably, use them only for your Rank S late game gears because Traits from your Rank A gears will get re-rolled once you fuse them to Rank S.
- Re-roll using Trait Tickets or Gems [Blue or Orange Traits only]. 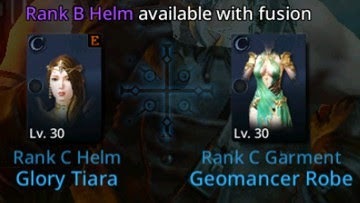 - Note: A gear's Unique Trait can't be re-rolled. - Defense Penetration: Decreases enemy defense for more damage. - Crit Activation: Indirectly increases your Crit Rates. - Gather 1 Set for PVE and another Set for PVP, including their own Jewels, but if you want an all around use gears, aim for PVP sets if you can. 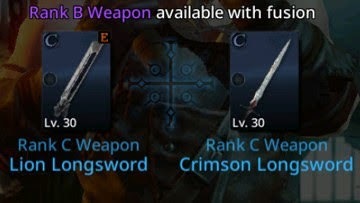 - Some [PVP] gears are also obtainable (random and rare) with nice PVP only Traits, this is a huge plus if you can get them all. 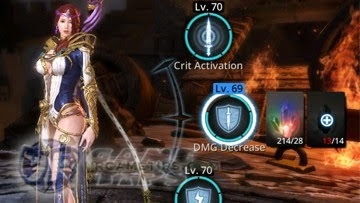 - For more late game content, aim for the Traits you need depending on your character and play style (PEE or PVP focused sets + jewels and runes). - Costumes works like gears, they also have their own Stats and Traits. - Can be obtained free from limited events, craft from the Blacksmith, and more. - Buy from Chests option ~ Costume tab, (preferably with your Main Character). One of the best recommended ways to use Gems! (F2P or non-F2P). - As you gather more costumes, you can activate more stat bonuses per completed set collections. - This is also the reason why we recommend that you spend your Gems for costumes. - Note: You don't need to equip them all to activate the set bonuses. - At the moment, you can't upgrade Costumes like from Rank A to S, but maybe in the future game patches. - For now, just enhance your A Rank costumes until you can get Rank S ones, then transfer the enhanced Rank A gear into it by enhancing. - Jewels when equipped to gears, will also give extra stats. - Obtained from PVP event rewards, Honor Shop (random), Raid rewards, Fishing (Shellfish), and more. - Jewels can also be upgraded or fused. - Note: When Fusing, the fused item will also depend on your base item. - Unlocks after completing 9-5 Adventure Mode. - Runes are extra features that will also give bonuses when certain conditions are met. - Similar to Jewels, these Runes can also be fused or upgraded. - Aside from the usual reward items, these Runes can also be obtained by fishing near the fishing yard. - Available from the Blacksmith Section. - Note: The equipment you are trying to refine must be S Rank and enhanced to 60. Recommended for late game [PVP] Gears (check Grimoire in-game) for more info. - Refining Stones can be crafted from the Blacksmith's Crafting section. - For upgrading gears and character stats. - Usually for fees like Enhancing, Fusing, Crafting, Refining and more. - For upgrading Blacksmith's Crafting Polish. - Guild Donations to get Guild Coins and more. 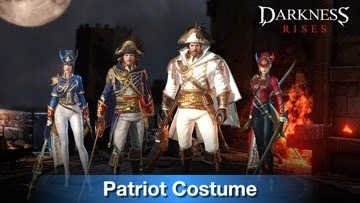 - Buy Costumes from the Chests option ~ Costume tab, (preferably with your Main Character). Recommended for all players. - Any premium items you think is worth your Gems like the "Weapon and Armor Chest" or "Accessory Chest". Recommended for non F2P players. - To make your game easier, only attempt to complete stages once you reach the recommended Power. You'll see difficulty changes from (Easy > Mid > Hard) depending on your total Power. Go for Easy or Mid as long that you can complete with 3 Stars. 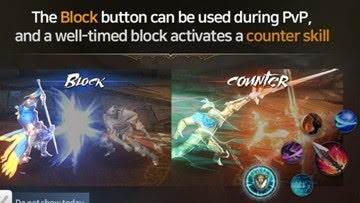 - Aside from spamming skills, you can actually sneak in some normal attacks between skills to maximize damages while the boss is locked from your combos. - Spam normal attacks once you see the boss flinching (usually after a combo skill), or when it gets stunned, then continue using skills once the boss can move and attack again. - During skill animations (most skills including Ultimate), your character is immune to damage, use this opportunity to negate huge incoming damages. - Use Skills to interrupt the attacks of bosses, time it well right before they start their attack animation. - This is not effective though against enraged bosses so use dodge instead. - Dodging is also important in this game to avoid incoming damages, just do a number of normal attacks then dodge right before the boss uses it's combo strikes (check patterns and start of attack animations). - Rage attacks can also be used to dodge boss attacks, very useful when your dodge skill is not yet available, or if you are being hit non-stop by enemy skills. - Time it well and use your Ultimate skill too! - Before the Boss fight, let your skills cool-down first, but make sure that you have enough time to get 3 Stars completion though, if needed. - Obtained from SP Chests, event completion rewards, and more. - Buy from PVP Honor Shop (random) or Guild Shop. - Focus on 3 PVP skills to upgrade first to make your PVP life easier. To maximize their upgrades for all around use, equip them too for PvE, refer to the link below for general skill builds.